The winner of the EX-Cute Snow White Princess Aika is Sara H.
Sara's favorite fairytale is "Hans Christian Anderson’s the Nightingale." Thank you to everyone who shared their favorite fairytale. We had fun reading your comments. Hope to see you again at the next giveaway! 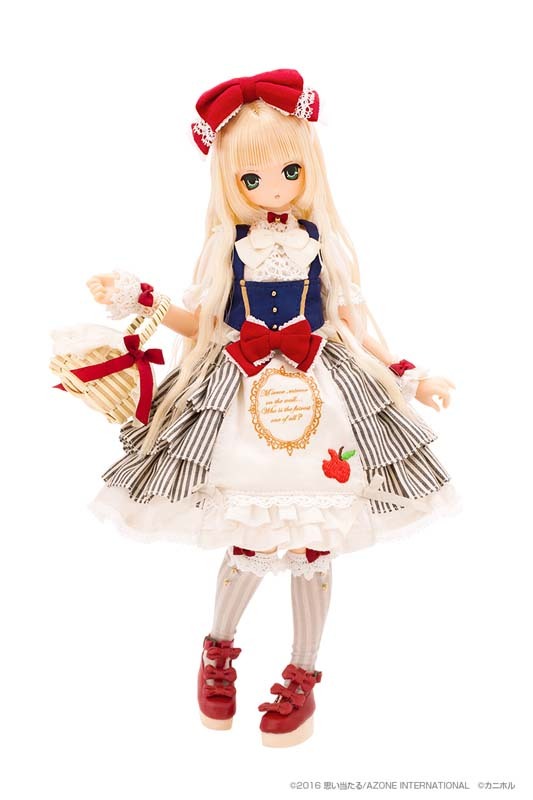 We’re giving away an EX-Cute Snow White Princess Aika to 1 lucky winner. We'll randomly select a winner. 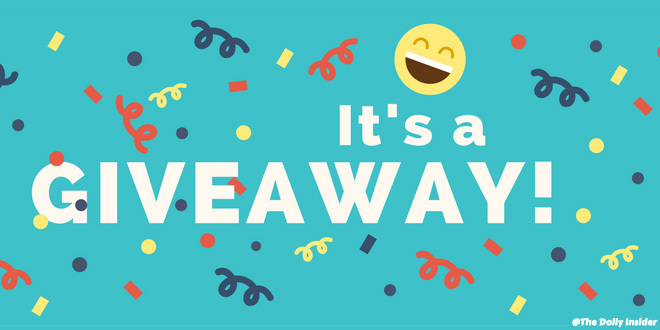 Deadline to enter the giveaway: January 19, 2018 11:59 P.M. Central Standard Time. We'll announce the winner by January 23, 2018. *If the winner does not respond to our email within 48 hours, another winner will be selected. My favorite fairytale is Brave by Disney. It has a very good plot, I can relate to the story. Sometimes rules need to be broken, sometimes we have to follow them. Wish I win the doll! I believe it’s called the Harelip. It’s in Grimm’s fairy tales. It’s basically the same idea as rumplstiltskin where the girl has to spin things for the prince. An old lady in the woods does it each night for her, and she just lays on a rock. When the prince asks, she’s honest that she didn’t do it so he goes to find the one who did so maybe the girl could continue and learn how to do it herself. When he finds the woman and finds out her deformity is a direct result of licking the fiber for spinning he decides his bride to be won’t ever spin again. My favorite fairy tale is the Little Mermaid!!! I just love her story!!! My favorite fairy tale might be…Snow White! My favorite fairy tale would have to be a slightly more obscure one, “The Princess Who Could Not Be Silenced”. It was about three brothers trying to win the challenge of getting the last word in a conversation with the princess. The two “smart” brothers failed, while the supposedly dimwitted brother won with a quick wit and the use of a collection of random junk he picked up on their way to the castle. My favorite fairy tale is Cinderella! I always remembered renting this movie out at Blockbuster (haha, remember when that existed?) and watching it with my family alongside other Disney classics. Cinderella always stuck to me because of it’s message – no matter where you’re born, your social status, or your financial status, as long as you have the courage to power through you’ll always have a true heart of gold (as cheesy as that sounds, that’s a message that stuck to me when watching Cinderella). Thank you for the opportunity! My favourite fairytale would be Hansel and Gretel! Love how the witch thinks she is so clever and can lure kids in with her sugary house, but that the kids were able to outsmart her and get away! Hi! I’m from Mexico and my favorite fairy tale is Little Red Riding Hood, this is because in Mexico they made very sweet and comical movies about her, and this is a very cute memory of my childhood. The first one was based in the original, only that in the end the Wolf became a good boy and friend of Little Red Ridding Hood and protector of her town. They also made a sequel that was like a crossover “Little Red Ridding Hood and Little Thumb VS The monsters” xD . Thanks for the chance and for reading me! Peter Pan has always been my favorite fairytale and has helped me through many hard times in my life. I love the whole ideals surrounding Neverland and the constant head butting of Captain Hook and Peter Pan. The Princess and the Pea is a favorite of mine. My mother used to have to read it to me and my sister so much, she had it memorized and didn’t need the book to tell the story. My favorite tales is The Beauty and the Beast, but I love too Rapunzel or SnowWhite, last one remember my childhood and because Snow white is a cute princess, I like her aspect. I love a lots of Fairytales, much not so famous, so I wrote my most famous favorite. My favorite fairytale is a popular Lithuanian tail / legend – “Jūratė and Kastytis”. Story is about Goddess (sometimes described as a mermaid or undine) Jūratė (from the noun jūra meaning the sea) lived under the Baltic Sea in a beautiful amber castle. She fall in love with fisherman. Jūratė rescued fisherman from drowning in a storm. Unfortunately fisherman was killed by Baltic God of Thunder. Jūratė mourns fisherman to this day. Her tear drops are amber pieces washed ashore and one could hear her sad voice in a stormy sea. My favorite fairy tale is more of a folk tale, The Tale of the Bamboo Cutter . Or princess Monoke- a more modern tale. When I was a child I used to hear and read some fairy tales and I loved most of them. Now I choose Little Red Riding Hood because I have done an illustration about this tale and it represents my work. The Fisherman and His Wife ! Thank you for this giveaway! My favourite fairytale is Sleeping Beauty, the 3 fairies are so sweeeeet! I really enjoy Cinderella. I love the glass slipper. I have the pureneemo cinderella version. My favorite fairytale is Snow White! It’s the first fairy tale I have ever know, and still is my favorite! My favorite fairy tale is The Little Mermaid. I read the original Hans Christian Andersen version a few years ago. Unlike the popular film version, she watched the prince marry the other girl. She could’ve killed him to undo the deal, but she chose to die and let him be happy instead. I just found the ending so beautifully tragic. My favourite fairytale has always been Hansel and Gretel. I loved the creepy feel of the gingerbread house, but also how Hansel and Gretel overcome the witch in the end. And…they probably never looked at a sweet again in the same way! My favorite fairy tale is The Gingerbread Man. I especially love the illustrated version by Jan Brett. The pictures tell the story so vividly. Puss in Boots (probably because I’ve always loved cats). My favorite fairy tale is Little Mermaid with the original ending intended by Hans Christian Andersen. It is a sad but meaningful story. Beauty and the Beast is my favorite. The beast is already a prince in his beastly state. Love one another if a person deserves love because of their behavior. It’s the spirit and soul that matters the most. I have so many! I’ll settle with Rapunzel though. My favourite part is when Rapunzel’s tears heal the Prince’s blindness. There’s so many variations to a lot of different fairytales, so each one has something different to offer. I also love a lot of the lesser known ones like Cap’o’Rushes. My favorite traditional fairytale would have to be Cinderella, but I’m also a sucker for creative variations of Little Red Riding Hood. My favourite fairytale is “The Turnip”, it’s a Russian fairytale, and I like it because everything is good there and nobody suffered during all the story. My favorite fairytale is snow white. Maleficent and Beauty and the Beast are my favourite fairytales plus their Disney dolls looking gorgeous. My favorite Fairytale is Tangled. I love Rapunzel because she is brave, combative and I love her blonde hair! My favorite fairy tale is Alice in Wonderland! I love how all over the place it is and I adore the designs of the characters. It contains some of my favorite quotes as well and a favorite animal character of mine (the Cheshire Cat). It’s not one of the more popular or common ones, but my favorite fairy tale is “The Wolf and the Seven Young Kids.” I feel sorry for the wolf, though! Alice in Wonderland, since I always find myself getting lost in things (for example my hobbies, and dolls remind me of little worlds like when alice drinks the potion. There’s just something bout how whimsical everything is in the movies. 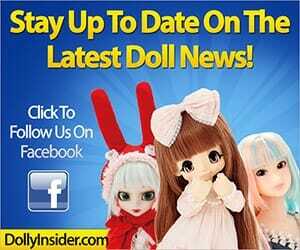 im young but i love these doll so i hope i win! My favorite fairy tale is Little Red Riding Hood. The Little Mermaid and Beauty and the Beast. My favorite fairy tale has always been the Little Mermaid by Hans Christian Andersen. However, I don’t like what Disney made of it. As a child I liked the most that the little Mermaid decides to die instead of killing the person she loves. It´s as if she realizes how selfish she was and decides to do something selfless in the end. I also never felt like this story is all that tragic. The mermaid might not get the man she wanted, but she is rewarded for her selfless act by having the chance to gain an immortal soul, the one thing she always desired. I’ve always loved Disney’s Sleeping Beauty (the Little Mermaid is a close second). However, a lot of those old fairytales haven’t aged well. We need to create newer and better stories for the generations yet to come. I like Jack and the Beanstalk. I’m not sure why… I think because it retains a lot of the fear that most of the original stories lose when they get translated or turned into films. I’m not sure if it counts more as a myth or legend than a fairy tale, but I’ve always loved the story of the Cowherd and the Weaver Girl that the Chinese Qixi festival is based on, where the two lovers are seperated by the Milky Way except for one day a year, where the magpies of the world will form a bridge for them to reunite. It’s a beautiful story and is still being told and celebrated thousands of years after it was first written! I spent many years studying and enjoying fairytales from all over the world, but my favorite has practically always been Tam Lin and I hope it always will be. I have a plenty of favorite fairytales, including Cinderella, Little Red Riding Hood, The Little Match Girl, Wizard of Oz, Snow White etc. But, if i must choose one, My most favorite Fairytale is Alice in Wonderland. Even many of my favorite characters from another stories like Novel, movie or anime is named Alice. I’m male, but have an Alice for a nickname. I love a frilly dress for Alice in many Alice in Wonderland version.. I correct it, i love dresses for characters in fairytales. Favorite Fairytale has always been the Twelve Dancing Princesses, by the Brothers Grimm. As a child I adored the costumes in the illustrations. My favorite fairytale is Alice in Wonderland… So, I read all the books and view the Disney’s movie (animated). I love Snowhite, too. My favorite fairy tale? That’s a tough call. There are so many! btw, if you’re looking for an interesting book with a modern twist on fairy tales, check out Shelby Bach’s Ever Afters series (starts with Of Giants and Ice). It is a middle-grade book, but it’s amazingly well written (and this comes from someone who has an extensive background in writing: I’m very well read, amazingly particular about what books I love, have an MFA in creative writing, used to teach English composition at the university level, etc.) Ms. Bach has an exquisite control over voice and has captured the essence of what it means to be in middle school. Another excellent book is Holly Black’s Doll Bones. It’s very hard to choose but if I had to pick one fairy tale my favorite would be snow white. I love “The Little Mermaid” Disney version and Hans Christian Andersen fairytale, both are awesome. I really like both verisons as well. My favourite fairytale is: The Little Mermaid! …in the Disney version they have some great songs, and Ariel are so beautiful with her long red hair. My favorite fairytale is “Cinderella”, because even if she had to work for bad people, even if she’s poor, she stays brave and honest and continues to dream. Love this question! The one I love most since childhood is thumbelina, she has a very kind heart, always cares about others’ feelings! My favorite fairytale is Goldie Locks! I always loved her blonde hair and how stubborn she was. My favorite fairytale is Beauty and the Beast. My favorite fairytale is “The Nutcracker and the Mouse King”. It’s so hard to choose a favorite. If I had to, probably Beauty and the Beast – though my first doll was actually a Snow White one, so that comes rather close. My Father told it to me when I was young, after I lied when he was washing me in the bath and it scared me straight for most of my early years. I’d say Puss in Boots is my favourite, story-wise, but all my favourite dolls have been Cinderellas! My favorite fairytale is The Little Mermaid! My first favorite fairy tale is Sleeping Beauty, My daughter is even named Aurora. However I am a sucker for most all fairy tales. Probably one of the reasons I love Anime and the show RWBY so much. Without a doubt, The Sleeping Beauty but not for its protagonist, for the witch, Maleficent. My favorite is Little Red Riding Hood. We even dressed up that way for Halloween once. My husband was the big bad wolf. My favorite fairytale “Alice in Wonderland”. I like all unusual things, strange creations, magic, adventures and Alice herself. I have always loved fairytales but my favourite would have to be the Little Mermaid. Her story, has inspired me on so many levels and was the centre of most of my childhood games. I am amazed at how the stories grow with us and as we age new meaning are unearthed. 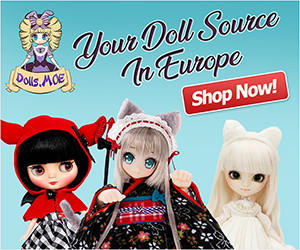 All this being said, dolls based off of fairytales are my favourite! And I absolutely love this line of dolls!! My favourite fairytale story is ‘The princess & the frog’ by Disney. I like Tiana for she is a hardworking girl with goals and points of view. Even when things were tough she was capable to reach her goals and face all her fears and find love. My favorite fairytale is ‘The little mermaid’ by Disney. I like Ariel for she is an adventurer and she enjoys life even when times are hard. She was brave enough to risk her life to be with the guy she loved. I love your website! 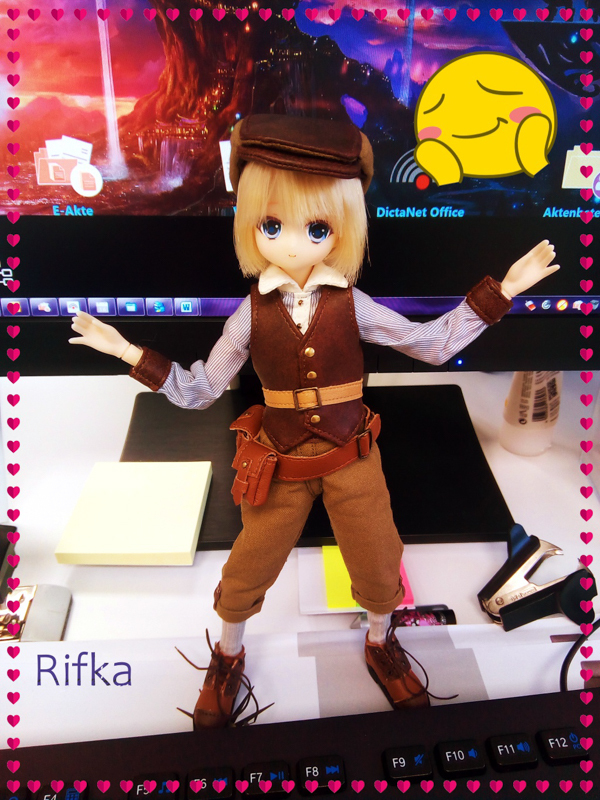 Wish I get the doll 🙂 … it would be my first japanese doll! I would love to win this beautiful doll Snow White is one of my favourite Disney movies I have so many mini pop vinyls of Disney characters which would be suited to be her dwarfs. It would be amazing to win this doll because Snow White is my favourite fairy tale. I feel it is a classic and everyone knows it. I find the original story very scary but the disney movie makes it exciting! My favourite fairy tale is Beauty and the Beast. I especially enjoy watching the cartoon Disney movie. I always think it would be so cool if there was a pureneemo that looked like Belle. Winning this doll would look great with my other fairy tale themed dolls. My favourite fairy tale is Alice in wonderland. I’ve always loved the different ways it has been adapted. It is always so much fun seeing the different styles people imagine Alice and her friends in. 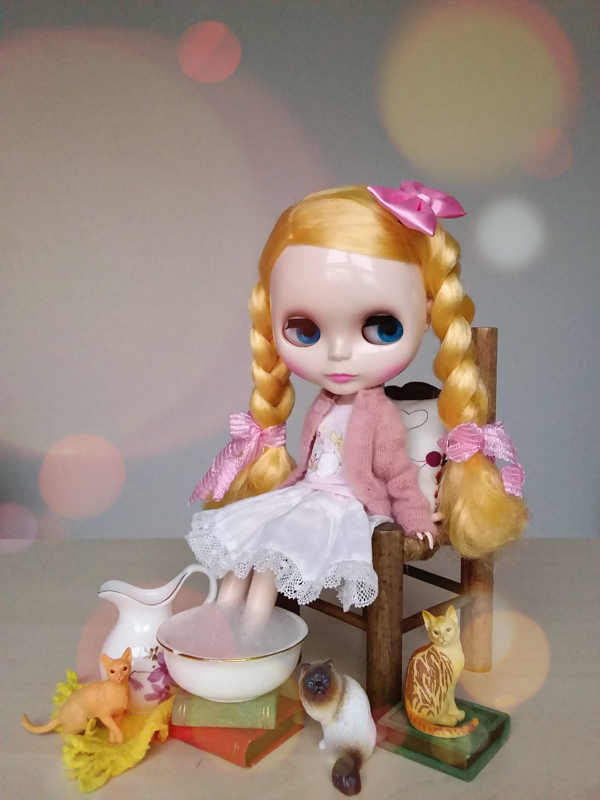 This is probably why I love seeing Alice in Wonderland themed dolls because they all look very different! It’s fantastic! My favourite Fairytale is The Nightingale, I love the message of the story that even though artificial things lasts for a long time (The mechanical Nightingale) real things are far more beautiful, precious and memorable. But Snow White has always been one of my favourite and it teaches an important lesson about vanity and jealousy leading to a person’s downfall as well as being careful about who you can trust! Je pense que mon conte préféré est “Le Joueur de Flûte d’Amelin” des Frères Grimm. Merci pour votre site! Je le suis régulièrement et je vous souhaite une bonne continuation! Also on a side note, I'd like to thank you guys for running this website. I come here often though I hadn't realized til now how easy it was to leave a comment. Also are you guys gonna say what your favorite fairy-tale is because now I'm really curious! My favourite fairy tale is Disney “Brave”! ^-^ I love the way Merida changes her destiny! But, since I was a child, I loved Snow White! The Snow Queen, definitely. Winter is the most magical time of the year for me, and I always loved this character of a cold, icy queen-witch. Amongst many of Hans Christian Andersen’s fairy tales my favourite is ‘Thumbelina’. I do not like the film versions of fairy tales as much as the original books! My favorite fairy tale is Sleeping Beauty. I especially loved watching Disney’s interpretation of this tale as a child. There is so much to love about that film, such as Aurora singing and dancing with the forrest creatures, the Prince battling Maleficent in her dragon form, and Aurora’s color changing dress at the end of the movie. I’d say Merida, cause it is about family and finding oneself and not about being a perfect princess to get a perfect husband. My favourite fairytale is Rapunzel, after such a horrible start in life she finally gets her man, in the Disney version she has a cute chameleon called Pascal who steals the show in the film! My favorite fairy tale is the original Grimm’s Cinderella. Only this version of the tale will do. If you ever have a chance to see Roger’s & Hammerstein’s Cinderella circa 1960’s, you will fall in love with the story, all over again, and only this version will do. Nothing comes close to it. Happy New Year! I loved reading “The Little Match Girl” as a kid. It’s sad, but very sweet and has a good meaning. Thank you for offering this! I love checking this blog for all my dolly news. I’ve always had a soft spot for Red-Riding Hood, but a recent favorite of mine is Vasilisa the Beautiful (featuring… a doll! And Baba Yaga. It’s worth a read, for sure). My favorite fairytale is “Little Red Riding Hood”. I really like the idea of little girl wearing a red hoodie and carry a bag. And how cute of a granddaughter visits her grandmother. Thank you for the opportunity. My favorite fairytale is The Beauty and the Beast. My favorite fairytale is Little Red Riding Hood! I always liked the darker fairytales growing up. This is fun 🙂 I think my favorite fairy tale is “Alice in Wonderland” (AKA Alice Through the Looking Glass). It’s just so silly. Alice in Wonderland! I’ve always loved the movie, and the books, so it has such a dear place in my heart. “The Little Match Girl”, although it may be a sad story, it definetly deserves to be mentioned. It has always made me value simple, little things. My favorite fairy tale is Cinderella because I love that after all her hard work she was able to go to the ball. Though this is a tough choice, I will have to go with this one: East of the Sun and West of the Moon. I have loved that fairytale since my childhood. It has a special place in my heart. Unfortunately, it is apparently a rare to find book in danish so my search for the book is still ongoing. Even if I don’t win I encourage you all to read it! Btw a close second is the Russian fairytale The Firebird. Thank you so much for having this giveaway and for this opportunity! My favorite fairy tale is Beauty and the Beast. I know it may sound cliche, but I think this story teaches a valuable lesson (not to judge others based on their appearance – even though Belle is still a beauty – but, more on that later). I like that you can see the character’s evolve. Belle learn’s to love someone who is not beautiful on the outside (even though I think she wouldn’t judge anyone by their appearance to begin with), but also shows that even though she is beautiful, she is still kind to the Beast (which is the lesson that is learned by the Beast). I hope this makes sense! My favorite fairy tale is “Snow White”! Cinderella has always been a favourite of mine. Wish I had a fairy Godmother.